Ambergris Today was able to take a picture with newly weds Jason and Bonnie Bridges as they celebrated after their beach wedding at Coco Beach Resort, in San Pedro Ambergris Caye, Belize. 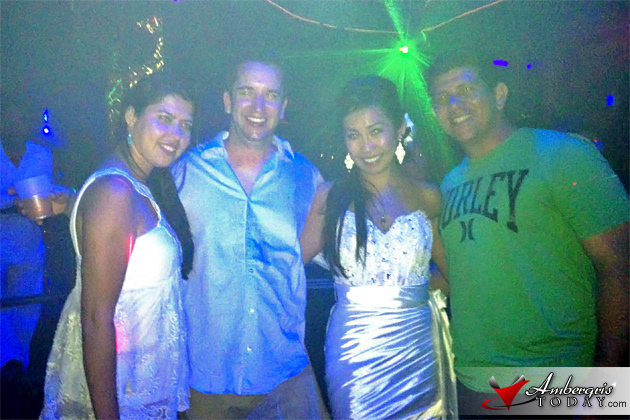 The newly weds were seen tearing up the dance floor at Jaguar's Temple Night Club with their bridal party. 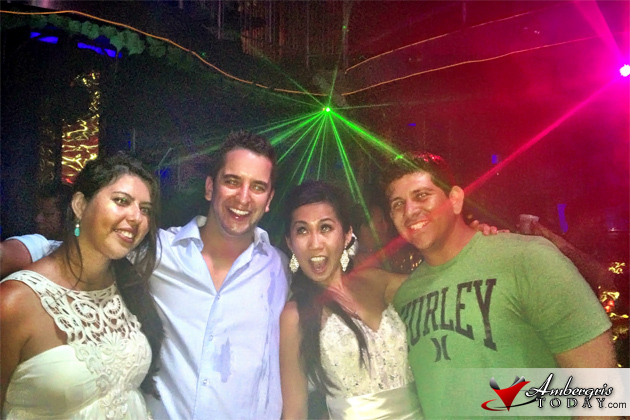 Bonnie was literally trashing her wedding dress amongst the visitors and locals who invaded the night club on Thursday, March 21, 2013. Ambergris Today congratulates Jason and Bonnie and wishes them a happy marriage. Case of the Lost Police Truck Keys – 6 Detainees Released!